Make a statement and upgrade your Ford F-250 Super Duty’s factory bumper with this extra large 40-inch Curved LED Light Bar Bumper Kit. 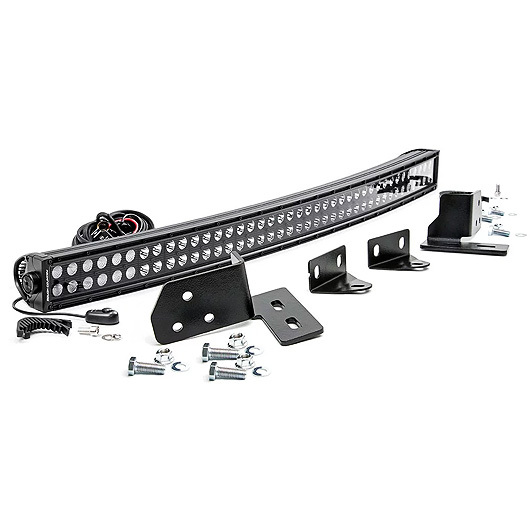 This kit provides the perfect lighting and mounting solution for your 2011 – 2016 Ford F-250 bumper. Wicked Warnings offers the Black Out version of this kit. 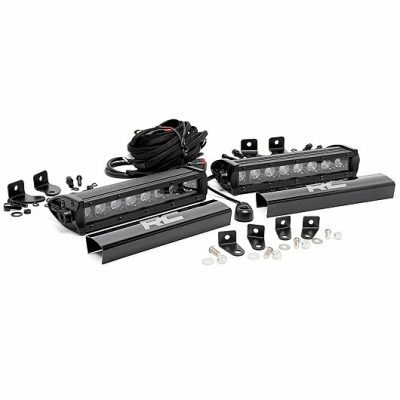 The 40-inch Curved LED Light Bar Bumper Kit has an output of 19,020 lumens, 240 watts and contains 80 3-watt high intensity Cree LED lights. With durable die cast aluminum housing, IP67 Waterproofing, and wiring harness, this kit has all-weather top-quality protection from the elements. 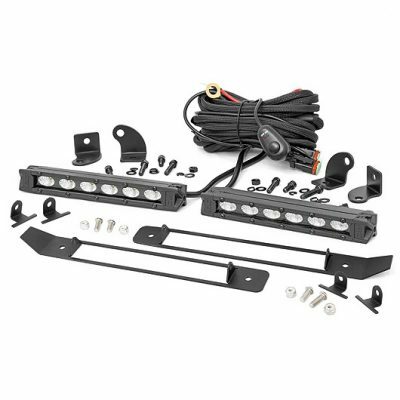 For added peace of mind, Rough Country also offers a lifetime replacement warranty on the mounting brackets and a 3-year warranty on the LEDs. 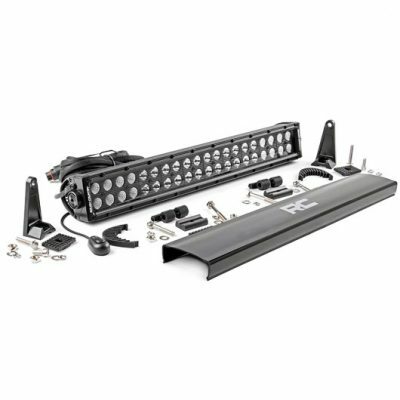 The mount for this 40-inch Curved LED Light Bar Bumper Kit attaches to the factory tow hook mounts, giving the perfect amount of space for this dual-row curved light bar. As a result, you end up with a flush and clean LED setup that looks like a factory upgrade! With the simple bolt-on install, you’ll be ready to light up the path ahead in no time! If you have any questions about this 40-inch Curved LED Light Bar Bumper Kit, send us an email at info@wickedwarnings.com. Be Seen & Be Safe!